A secluded romantic getaway in Florida's Ocala National Forest. 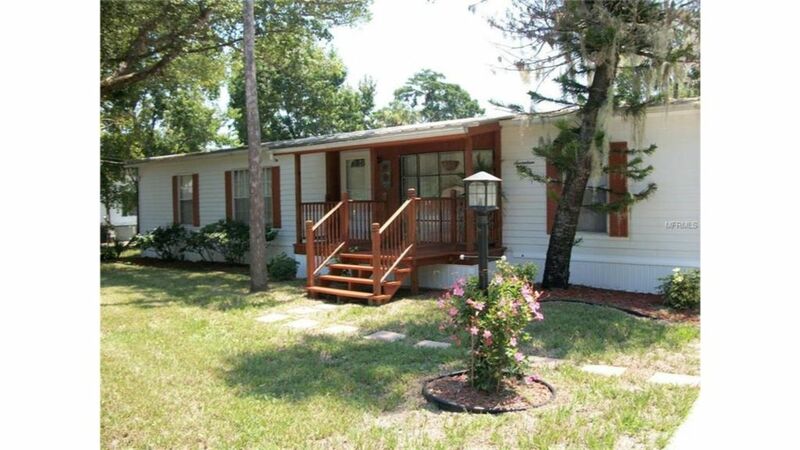 This cottage is situated on a privately owned property on a beautiful canal one turn off the St. John’s River, surrounded by Florida's Ocala National Forest. It's the perfect retreat! You will find miles of hiking, off road vehicle and horse trails in the forest. Trophy bass fishing in our many lakes or the nearby St. Johns River, and hunting for deer and wild turkey in season, are close at hand. So... bring your easel, camera, binoculars and boat and join us for a truly unique getaway experience and see what Florida was like in years past. Come spend a weekend or a week with us. Whatever your indulgence, your comfort and privacy is our main concern. This home has tile and carpeting throughout, has central air and heat, and can sleep up to 12 people. One large master bedroom with queen bed, a second guest bedroom with a queen bed and third bedroom with two sets of bunk beds and two sofa beds. Two bathrooms, with huge shower only in the master and shower/bath in the guest bathroom. Third shower outside by the 7-person hot-tub. Large kitchen with breakfast bar and dining table. A large screened porch overlooking the dock and water. A fully equipped kitchen with four burner stove and oven, microwave, coffee maker, blender, toaster, plus all necessary cookware, dishes and flatware. Huge 7-person hot tub with 48 jets. Very large deck area for lounging. Boat dock with public launch nearby. Fish cleaning station at boat-house. Wireless high speed internet DSL modem throughout home and property. Beach area and fire pit for enjoying a hot dog roast or a beautiful quiet evening by the fire with friends. 3 Dish TV’s including a 55" Flat Screen with DVR and DVD and two rooms with Surround Sound. Sonos wireless speakers throughout house. Commercial ice machine that makes 70 lbs of ice per day for icing down fish, sodas and cold beer! Pool Table, Ping-Pong Table and Electronic Darts on screened porch. -Elderly neighbor and his wife live next door. Please do not park in front of his mailbox. He gets quite upset. -Please no parking on the front lawn. You will break the sprinkler heads. - Terms: 1. Owner supplies linens, bedspreads, towels, kitchen utensils, televisions and outdoor furniture. 2. VRBO Guest agrees to take reasonable care of the premises and will be responsible for any damage beyond normal wear and tear. VRBO Guest agrees to pay for any linen, towels, dishes; kitchen or pool equipment lost or damaged during his/her stay. VRBO Guest will be required to clean up first floor, dock and pool deck by returning all deck and pool furniture to its original position. 3. By contracting with us, VRBO Guest acknowledges that the premises has a pool, Jacuzzi, a dock into open water, all of which can be dangerous to unsupervised children and adults who are not careful or don’t know how to swim. VRBO Guest will take appropriate precautions for the safety of all guests on premises, especially children. Please pay extra attention regarding the stairs, porch, pool and dock that all children and guests use due caution against accidents. VRBO Guest agrees to assume the risk of injury from the use of these facilities to him/herself and all the guests, whether child or adult. 4. Only family or friends of VRBO Guest shall be permitted on premises- no sublet or assignment of this agreement is permitted. VRBO Guest shall be responsible for all guests and any damage caused during the stay, unless caused by Owner or Owner’s representative or agent. 5. VRBO Guest agrees to lock house when not on premises for security. 6. Spa temperature set at 90 degrees Fahrenheit. Spa temperature can be made higher-but there is risk associated with high temperatures and VRBO Guest is advised to use extreme caution in the use of the spa/hot tub. Temperature over 102 degrees Fahrenheit not recommended. Do not use the spa if you have low blood pressure, a heart condition or other physical limitation. The spa jets will operate by pressing a button at the spa. 7. VRBO Guest and guests will respect the privacy and peace of the neighbors. 8. VRBO Guest will not park or allow guests to park on front lawn. Please also consider the neighbors on either side, when parking. 9. If keys are lost, please call owner 407.579.8913. 10. VRBO Guests shall not wear sunscreen in the spa or pool. 11. Any problems with the premises shall be reported to owner or designated agent immediately by the VRBO Guest. 12. VRBO Guest shall keep trash and garbage in covered containers and will put out containers on designated days (garbage is currently picked up on Monday mornings) 13. VRBO Guest will comply with any reasonable rules established by Owner and provided to VRBO Guest. 14. VRBO Guest will have exclusive use of premises during rental period, except for any required repairs, governmental inspections, meter readers, lawn and pool maintenance; all of whom shall be given access as required. 15. Regretfully, no animals are permitted on the property, during this rental period. Married, 56 Year old husband, beautiful wife and 2 sons, ages 24 and 19. We've been a part of home exchange and ABnB for many, many years. We enjoy traveling and meeting people from all over the world. We live in Orlando Florida, which is the # 1 vacation destination in the world and as such have hosted hundreds of guests at our homes, as well, we've been guests at 40+ homes all over the world, as part of home exchange. Of most importance, we always treat others homes as if they were our own. We bought this property 16 years ago as an escape from city life on the beautiful St. John's River in the Ocala National Forest. The property appealed to us, from the moment we first saw it and we knew that we could make it the ideal location to get away for awhile. We know you'll understand why, when you first stay here. A secluded romantic getaway in Florida's Ocala National Forest. This cottage is situated on a privately owned property on a beautiful canal one turn off the St. John’s River. It was great!!! The Owner is very responsive to all our needs . The home is very roomy with lots of activity for the young and old . All the amenities of being home . Good area with stores and restaurants near by. Thank you again to the owners for eve thing my husband had a great birthday weekend . Great property! This owner actually had the place fully stocked (kitchen items & towels) which was much appreciated for cooking and showering while on property. Loved the pool, hot tub, deck space, chairs on the cancel dock, ice machine for fishing & filling coolers, dock space was perfect and conveniently located. Thank you! Property was located on the water with access to the river. Had a wonderful pool and hot tub. Everything was clean and in good working condition. We really enjoyed our stay. The property was very clean, well kept, and my family felt comfortable in their stay. We have stayed in a variety of places in Astor for years and this one was the best so far. We had family and friends staying as well as our 9-year-old, and everyone had a wonderful time. We had enough space so that we were able to have some privacy, and then enough space for us to all gather as a group and enjoy each other's company. The property was very well kept; even cleaner and more accommodating than we had anticipated. The owners communicated with us in our welcome and regarding everything we would need. They were professional and made it so that our experience was the best. We would definitely stay at this property again! Thanks for a memorable visit! Ana, it was an honor to host you and your family. We have hosted many many families at our Astor home and you and your family were an absolute pleasure. We appreciate so much how nicely you took good care of our home. Notwithstanding the stripped beds :-) we would’ve never known that you nice people had even been in our place. :-) You left everything just beautiful. :-) Thank you for the great communication and for being our guests. We sure hope that you’ll stay with us again in the future.